Pacquiao feels he was unlucky to be lose against Timothy Bradley earlier this month. 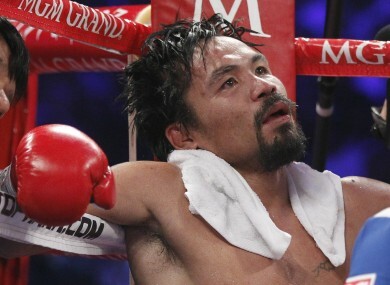 THE WORLD BOXING Organisation will review Timothy Bradley’s shock split-decision victory over Manny Pacquiao, which sparked outrage among observers who thought the Filipino fight king won the bout. Valcarcel said the committee will meet soon and evaluate video of the fight with the help of five “recognised international judges”. Email “WBO to review Bradley win over Pacquiao”. Feedback on “WBO to review Bradley win over Pacquiao”.